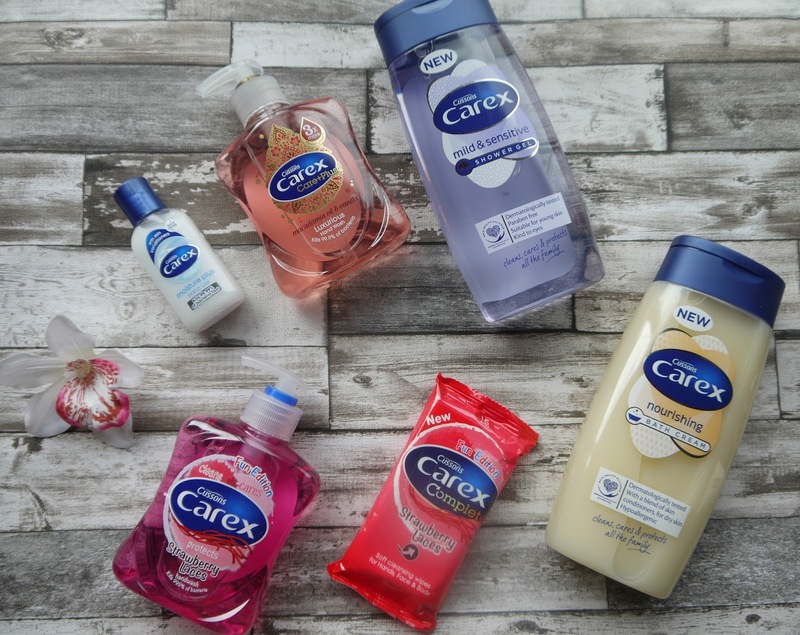 Hello lovelies, so a few days ago Carex very kindly sent me some of their new products as well as there most loved ones! I absolutely love their hand washes, I've never been a fan of soaps on bathroom sides it just screams germs to me and I actually get a bit freaked out when I'm at someones house and thats all they have, I'm like what am I gonna do now? Which is why I also love their mini hand sanitisers I ALWAYS have one of these in my handbag, more so after having children. 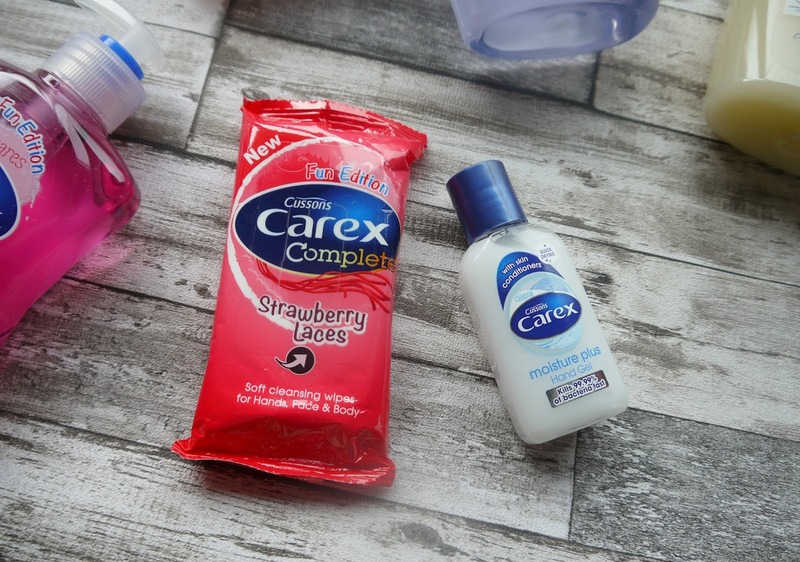 Before children I've always washed my hands obviously but since I had Oscar I seemed to have been obsessed with cleaning my hands worried about germs and passing anything on to him, so I always have sanitisers with me and another handbag essential will be these care wipes! So handy for mucky pups and even for adults, who can honestly eat an ice-cream without getting sticky? I usually carry a big pack of baby wipes around with me which massively weighs my handbag down so these will be a grateful addition to the handbag situation. I was intrigued by their new bath creams and shower gels, the bath cream smells delicious, it was very softening in the bath and I liked the shower gel too, its great that its mild and for sensitive skin so Oscar, my three year old can use this too as well as the bath cream he loves a bubbly bath as much as me. The strawberry laces has to be my favourite of the fun range, although I am a big fan of the cola bottles too! Oscar loves the strawberry laces one though he says they make his hands smell delicious, I think its a good way to incorporate fun into hygiene it makes kids want to wash their hands even more, a good message to send across for making sure they wash there hands all the time after toilet time and before and after meals etc. I haven't actually tried their macadamia oil range of the hand wash so I'm looking forward to trying that out once I'm all used up of my soap at the moment, I won't need to be getting any more in a rush now, thanks Carex! Do you and your family use Carex in your home, if so whats your favourite product?